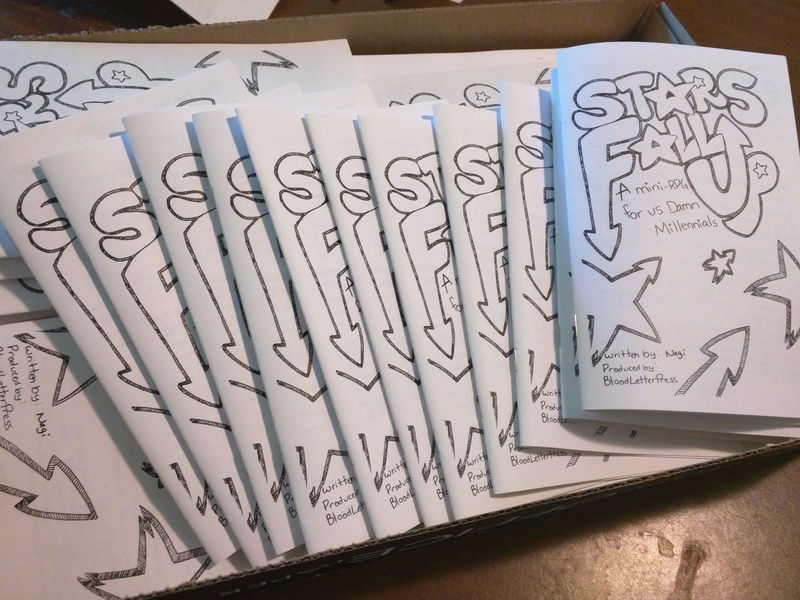 STARS FALL UP official release! 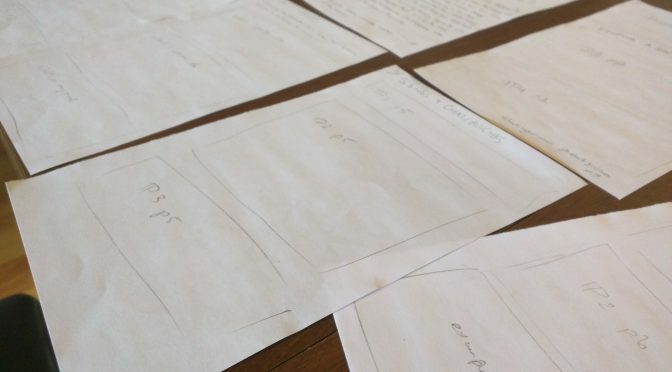 BLP’s first (IRL) production! 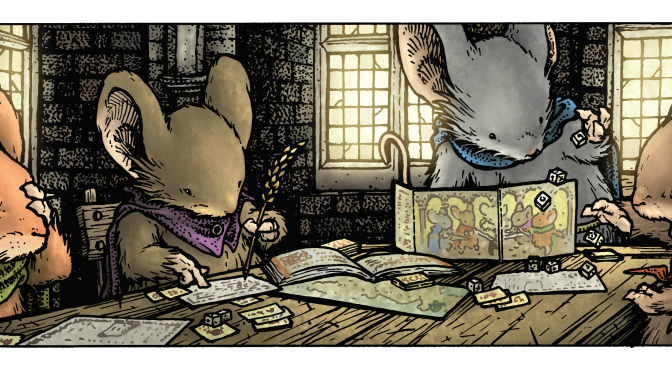 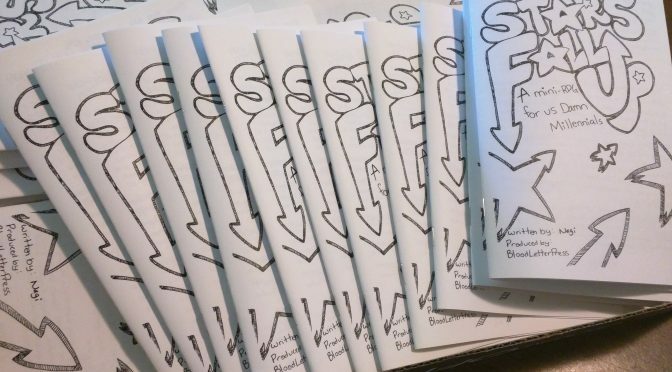 Yesterday, July 25th, we did the first print run of our zine-based RPG. 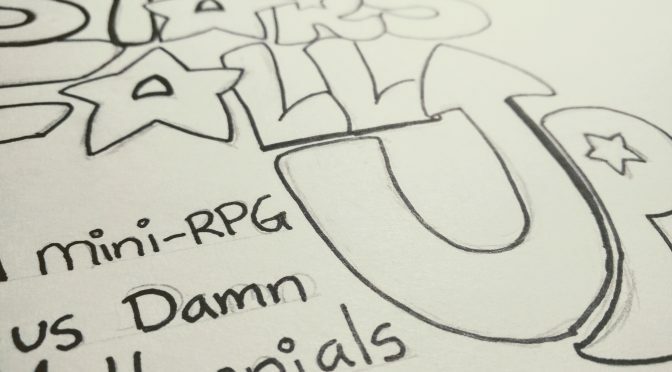 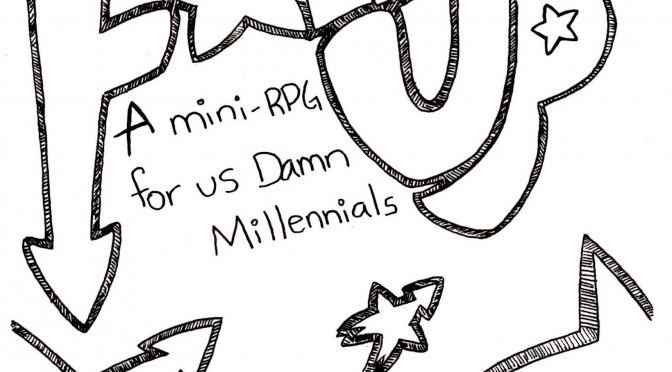 All of us at BLP are immeasurably proud to bring you Stars Fall Up: A mini-RPG for Us Damn Millennials.